I ordered this skirt from ASOS way back in September and some how totally forgot that I had it. I found it this weekend when I was cleaning out my closet. I am so happy I found it because it is perfect for Spring. And for some reason I have really been loving corals. oranges and of course neons. ASOS has so many skirts that I am loving right now! Especially the pink lace midi that I linked above. I am planning on placing a ASOS order ASAP! I love it when I can shop in my own closet! It is so fun to find older things in your closet and just find new ways to wear them. It is a really good feeling. That floral skirt is stunning! Love that top, the color is so vibrant! And of course those Tory Burch wedges are just perfect! Love this look! I can't wait for spring! So pretty! Love this look! Can't wait for spring! So pretty! You are so adorable...love it! I can't wait for it to warm up in Kansas so I can wear skirts (without leggings) too! FABULOUS post! You look stunning, and those shoes = LOVE!!! Don't you love when that happens!? :) Love your hair in the side braid! Loving this fun spring out fit and dying for those tory burch wedges!! Gorgeous!! 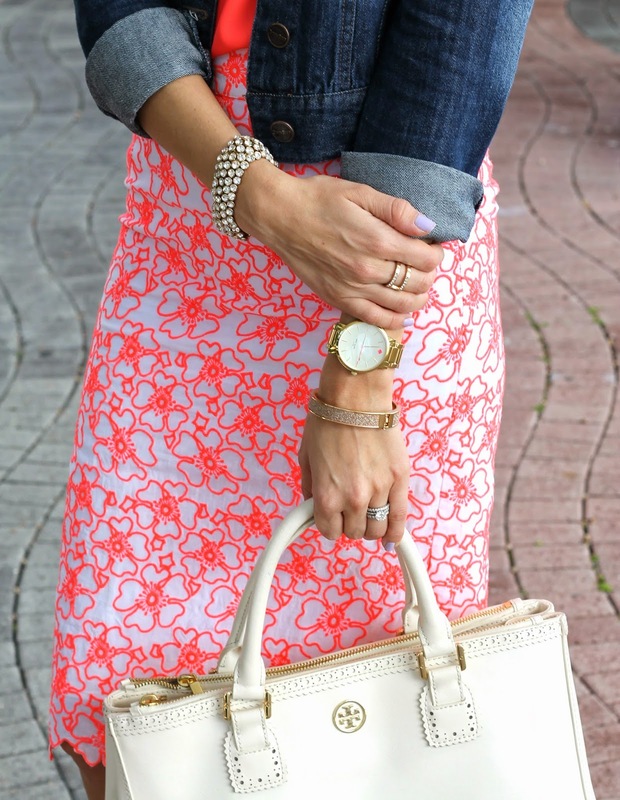 I love that skirt, the bright pattern is perfect. And I love how you styled it. I love this skirt!! it looks so cute on you and I love the way you styled it! this post is perfection! great job dear!